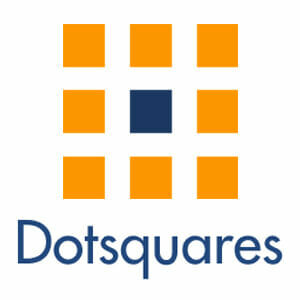 Interview with Bankim Chandra – CEO, Dotsquares Ltd.
Few lines about Bankim Chandra – CEO of Dotsquares Ltd. In 1996 I left my job as a programmer in India, and came to the UK to work for Royal Bank of Scotland (RBS) as a programmer for their CRM Systems. After a year at RBS, I moved to Bradford to do programming for Abbey National. Then in 1998 I came to Brighton with one suitcase to take on the challenge of fixing the Y2K bug at American Express.  Dotsquares is a web, app and games development company with over 16 years of international experience, providing flexible and scalable solutions. With more than 650 technical staff, spread across multiple technologies we can design, build and maintain a wide range of web and app systems. If you have an idea for a digital project or maybe you need support on an existing one, either way we can tailor to your individual company requirements. Through the use of our online project management system and a priority given to good communications, we have a very high project success rate and thousands of satisfied clients. Our agile development methodology ensures a transparent approach to the project with our customers updated on a daily basis. Software development is not only highly technical, but also managerial. Our team members at our three Development centers are fully accredited, and each have a minimum of five years commercial experience working with international clients. We ensure our development teams hold all the necessary accreditation, and that our project managers are Project Management Institute (PMI) certified. To develop software it requires time and skilled manpower. We have state-of-the-art infrastructure to make sure that any external factors do not influence the work of our team members and our clients get the best possible business model. We’ve been lucky to work with mobile apps since the iTunes store was first launched, and have advanced our practices to meet the needs of the market, over the last 16 years. We design and develop a whole host of apps, with our most popular app projects being built with native technology to suit a range of devices. We have continuous training processes in place to make sure that we are always at the forefront of the industry. We also have an academy to train the next generation of developers, designers, project managers, analysts etc. to stay up to date with trending technology such as Block chain, Big Data, AI, IoT, AR and so on. We assess their needs and requirements, target market, and audience on first enquiry, and then we can immediately understand what technology will better suit them. There is no hard sell as we want our clients to have something that is highly efficient and profitable in the long run, so we will provide what options will suit them the most, as well as ongoing support. With technology evolving we are offering services in Block chain developments, and more devices that use IoT whether this be for business or personal circumstances. We will also continue to think of different ways current technologies can be more accessible and more efficient. With GDPR changes due to take place in May we will adapt our processes to meet these guidelines. We’re also coming up with new ideas to tackle how Brexit might affect our business when it takes full effect. We have different models to account for each different type of customer, because we deal with a huge range of startups, SME’s and large corporates a like. It simply isn’t the case of one specification suits all, so we are flexible with our pricing once we understand our client’s budgets. Like we have mentioned previously, we are constantly adapting our skills and processes to meet the needs of the industry and our clients, and most of these we are already using to develop certain projects. We will continue to use our current in-house training processes, and will forever be suggesting new ways to our clients on how to alter their apps, to provide a heightened UX by utilising the latest technologies. Where we have found more customers are asking for gaming applications, we have launched a completely separate website called Inventive Studio, which showcases the technologies we are currently working in. One of our favourite industry verticals is eCommerce, particularly as more and more high street stores are closing down, due to people spending additional time shopping online. Hospitality and Travel are another two big industries that are particular favourites, as we have a vast portfolio of solutions created for those industries over the last 16 years. Then lastly we also have our eyes on the Fintech industry as the latest technologies are drastically evolving how these organisations do business. We are currently working on a range of solutions within Healthcare, by utilising IoT to help streamline medical processes. So this is where we would like to redefine our authenticity and expertise in our operational domain.